Chandler Jones has it cranked up here in the 2nd half. Anthony Castonzo has had better games. Natives are restless here in Indy. RT @RyanHannable : In the second half, the Colts have run 18 plays and have just 33 yards. Pats announce that Jabaal Sheard has been downgraded to out. Improbably, this one isn't over. 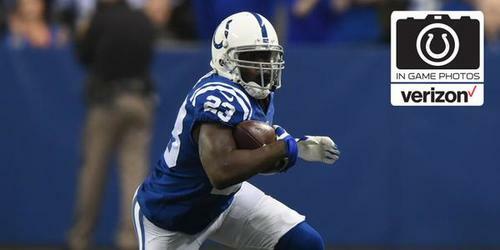 Colts were down 14 at Tennessee in Week 3 and Luck pulled them back. Colts offensive line's best defense to Rob Ninkovich has been the rear naked choke. I've been critical of Chandler in the past, but he's really been aggressive here in the second half. 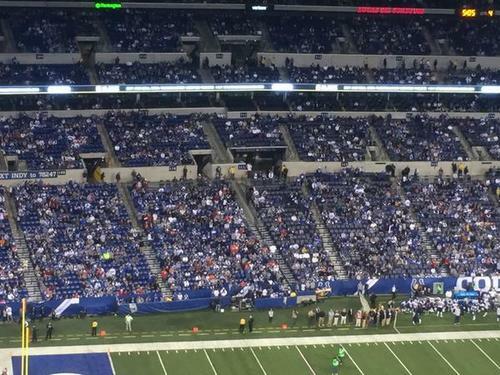 Colts fans starting to leave Lucas Oil with 6:39 left in the game. Patriots continue to break their own scoring records. Most points through five games. I'm looking forward to postgame sound where Chuck Pagano tries to explain the fake-punt-mutant-thingy. Malcolm Butler is all over the place right now. Think the Patriots try to squeeze one more touchdown into this game? Figured it was time to point this out. 19-2 vs. the AFC South. Medical staff appears to be looking at Matt Slater's right knee. 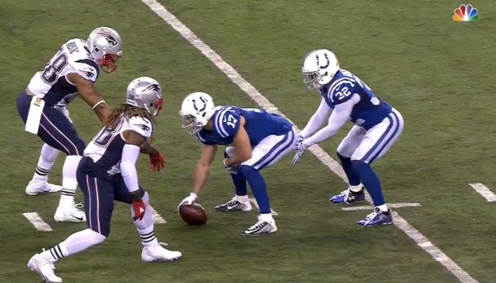 Colts only an onside kick/recovery/touchdown from pulling off the improbable. Slater got off the bench to congratulate the field goal block team. 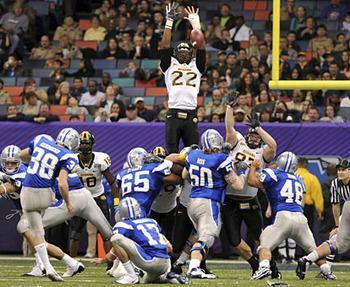 I remember someone was called for a penalty for doing what Collins did last week. Maybe Collins timed it a little better? 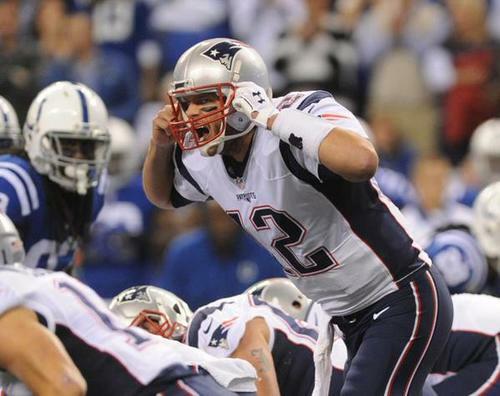 Peyton Manning began 0-6 vs. Tom Brady's Patriots. Andrew Luck is now 0-5.